If you have been struggling with SharePoint or are interesting in SharePoint alternatives than this post is for you. When talking to SharePoint customers we most commonly hear that it is overcomplicated, lacks social features, is not user-friendly, lacks mobile access, requires excessive training and customization, is overprices and feels outdated. Whatever reason you have for switching, the best SharePoint alternative for your organization , of course, depends on your specific needs and requirements. Some of these requirements include the size of your organization and the number of users you expect. Some vendors cater to small and mid-market customers, offering customization and integration for groups as small as 50 users. Other vendors focus on large enterprises. You’ll save a lot of time if you interview the right set of vendors. If you only have 500 users, don’t waste your time trying to get one of the Large Enterprise vendors to customize their offering for you (even if they agree to talk with you, the quote will likely be 2-3x what a vendor specializing in SMB & mid-market will quote for a customized solution). So let’s get started and take a look at our top 10 SharePoint alternatives. These five vendors focus on deployments of 50–5,000 active users (total employees can be more). If your organization falls into this category, one of these vendors will more than likely best fit your needs at a price that fits your budget. MangoApps – A Gartner “Cool Vendor”, offering an all-inclusive team collaboration software and enterprise intranet solution with full document management, project management, task management etc. Easy to use with robust mobile access from all platforms. Plugins for MSFT Office and Outlook and advanced security features including mobile device management. Will perform customization and integration for organizations as small as 100 users. Single-tenant private cloud and on-premise deployments available. Offers a 30-day free trial with unlimited users for easy testing and adoption. Socialcast – Owned by VMware since 2011. Offers activity streams, microblogging, employee profiles and more. Available in the cloud or on-premise. Socialcast offers a free trial for up to 50 users. Yammer – One of the better-known enterprise social network offerings. Initially a point solution with a narrow focus, Yammer continues to add functionality attempting to grow beyond just a place for workers to talk about things. Yammer is a multi-tenant SaaS offering only. The lack of private cloud or on-premise deployment options is a show stopper for companies demanding a higher level of security. IGLOO – A Canadian based company offering online communities and social software for business. IGLOO stands for “International Governance Leaders and Organizations Online”. Multi-tenant SaaS is the only deployment option for SMB and mid-market customers. Avg cost is $12/user/month. SocialText – a wiki-centric enterprise social software platform. Acquired in May 2012 by private equity firm Bedford Funding, Socialtext is available in the cloud or on-premise. Avg cost is $9/user/month. 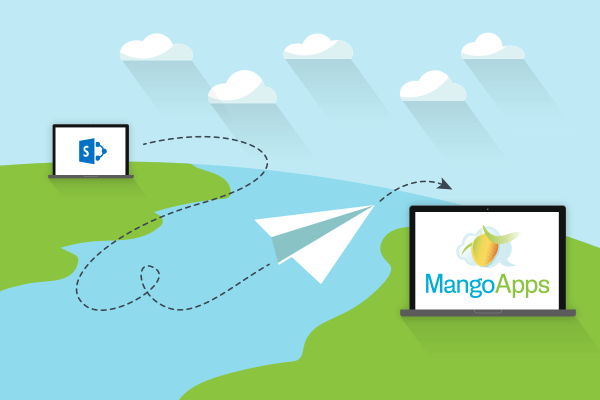 MangoApps – MangoApps intranet collaboration software offers customization and integration for organizations as big as 50,000 users. Single-tenant private cloud and on-premise deployments available. Offers a 30-day free trial with unlimited users for easy testing and adoption. IBM Connections – The social collaboration platform with the largest market share with large enterprises (SharePoint does not qualify as a “social” collaboration platform). IBM Connections is on its fourth major release and includes nine applications: Home, Profiles, Activities, Blogs, Bookmarks, Communities, Files, Forums, and Wikis. Jive – Initially offered bulletin boards and community spaces. Converted to social business software in 2009 and increased revenues 85%. Moved headquarters from Portland, OR to Palo Alto, CA in 2010. Had a successful IPO in December 2011 raising $161.3 million. Continues to invest heavily in an effort to compete with IBM for large enterprise customers. Acquired Producteev in November 2012 to expand the Jive offering to include Task management. Telligent – Founded in 2004 by Rob Howard, a founding member of Microsoft’s ASP .NET team. Started in 2004 as a community platform that brought together blogs, wikis, forums, and user profiles. Telligent Enterprise, an internal social collaboration solution, was released in 2008 and is primarily an on-premise product. SAP SuccessFactors – SuccessFactors provides an enterprise social network called ”Jam”. SAP announced it would acquire SuccessFactors in Dec 2011 for $3.4 billion. SuccessFactors is now working to integrate SAP’s CRM, HCM, LMS, Finance, and other apps into Jam. The solution is available in the cloud or on-premise. Oracle Social Network – In October 2012 Oracle introduced it’s social network offering for large enterprises. Oracle’s social network promises a social relationship management suite integrated with Oracle’s other enterprise applications, providing a holistic view of customers. Available in the cloud or on-premise. 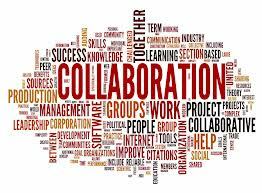 There’s no shortage of social collaboration software vendors. You can make the selection process easier by starting with the right “short list”. If you have less than 5,000 employees, start with the above list for small and mid-market organizations. If you have 5,000+ users, engage the vendors above specializing in large enterprise deployments. Note this is based on number of users, not the number of employees. If you are a large organization, but your current needs for social collaboration are within a particular division with less than 5,000 users, one of the SMB/mid-market social collaboration software vendors will likely best meet your needs. Once you identify your short list of vendors, you can then narrow down the best Sharepoint alternatives for your organization based on your specific needs and requirements.